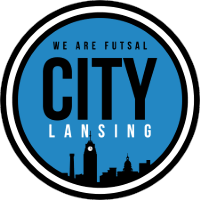 For all City players who played in the Winter Academy in 2018, you can reserve your spot for the summer without attending tryouts by filling out the form below. A couple things to keep in mind. This only guarantees you a spot in the Summer Academy but does not guarantee a spot on a specific team. Once the reservation is placed, it is passed on to the coach. In most circumstances, the coach will approve the spot. However, if an age group has teams added or moved etc the coach reserves the right to discuss the proper team placement with the player. The coach of the team will reach out to you confirming team placement. If you wish to change teams you must attend tryouts in May. It is encouraged that you communicate to your coach your wish to change teams as well. We encourage it! Select the Checkbox below if you wish to reserve your current spot but also want to attend tryouts for the potential to play on a different City Academy team. Thank you so much! Your spot is reserved!